Welcome to Loggerhead Cay #413! Come enjoy everything Sanibel Island has to offer: gently sloping beaches, beautiful sub-tropical vegetation, abundant sunshine. Our condo is on the third floor, with elevator. 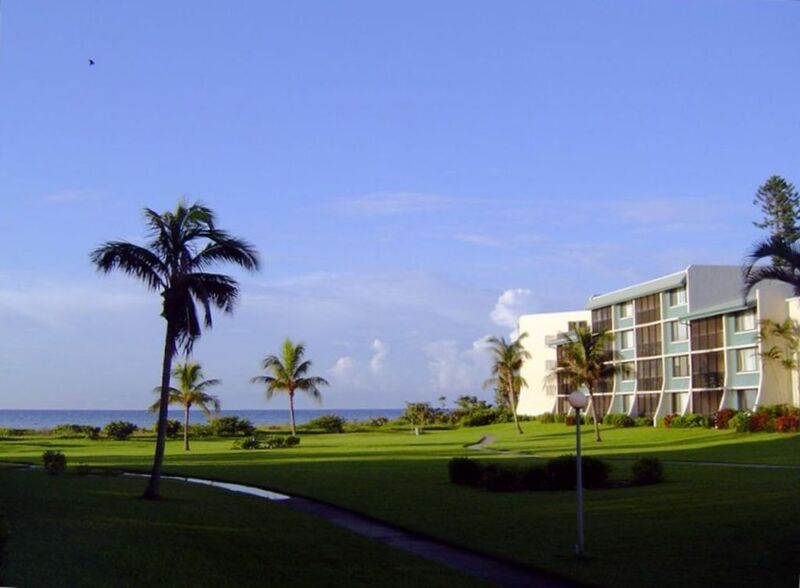 Beautiful Gulf of Mexico and tropical courtyard views from screened lanai and all windows. Newly remodeled kitchen and bathrooms. New mattresses and updated furniture throughout. New living room furniture in 2016. We have beach chairs, beach umbrellas and beach towels for our guests. There are activities for everyone: swimming in the warm waters of the Gulf of Mexico or in the large heated pool at Loggerhead Cay, playing tennis, kayaking between the mangroves of Ding Darling National Wildlife Refuge, biking on the dedicated bike paths throughout the island, golfing at 3 golf clubs on Sanibel Island. And, of course, SHELLING, Sanibel's favorite pastime. After a full day, you will enjoy relaxing on our spacious, screened lanai and WATCH THE SUN SET OVER THE WESTERN SKY. Eat in, using our beautifully redone kitchen to prepare a great meal. Or go out to one of the many restaurants on Sanibel or Captiva. My husband and I live in Western Maryland. Our family has the fondest memories of Sanibel and we want others to experience this little piece of paradise. Sanibel enchanted us the first time we came to the island. After a few years of family vacations in Sanibel, we knew it would always be a favorite place and we bought this beautiful condo. Now our children bring their children to enjoy everything Sanibel has to offer. Our condo is large and bright. The kitchen and both bathrooms are newly remodeled. We update furniture, appliances, mattresses, kitchen supplies on a regular basis. Loggerhead Cay has excellent management. The grounds are beautifully landscaped and the common areas are always in great shape. The pool at Loggerhead Cay is one of the best on Sanibel. The condo complex is on the eastern side of Sanibel and therefore is very accessible from the causeway, even in the busy winter season. toilet, combination tub/shower, Newly remodeled master bath with tub. toilet, shower, Newly remodeled. Shower stall with built-in bench. Condo complex is on the Gulf of Mexico and the beach. No road to cross. Partial beach view from lanai, entry and windows. Loggerhead Cay is a beachfront property on the Gulf of Mexico. Partial view of the Gulf of Mexico from lanai, entry and windows. All linens are included. We also have beach towels for our guests. Designated parking space for our guests. All linens included. We provide enough beach towels for the entire family. Free WiFi. Excellent connection from Comcast/Xfinity. Elevator down the outside walkway. West facing living room with large HDTV and comfortable seating for 6+. Electric stove with large oven. We have a Keurig coffee maker as well as a drip coffee maker. China, silverware and glassware for 8+ people. Well appointed kitchen for the gourmet cook. The kitchen was completely redone recently and features granite countertops and new appliances. It features breakfast bar and pass-thru to dining room. Convenient pass-thru between kitchen and dining area. Breakfast bar. HDTV in living room, master bedroom and guest bedroom each with DVD player. Audio system in living room. Comcast/Xfinity is the cable and internet provider. Audio system in living room with MP3/CD/radio player. A DVD player is connected to each TV. Assorted books for your enjoyment, including cookbooks. Audio system in living room. We have a few CD's in the condo. Beach toys for kids, boogie boards. We have a few DVD's. The best place to kayak is Ding Darling National Wildlife Refuge. Kayaks can be rented at the Refuge. Loggerhead Cay has 2 tennis courts. There is a sign-up sheet near the courts. There are 3 golf courses on Sanibel, 2 of them within 5 minutes of our condo. Large heated pool in tropical courtyard surrounded by tropical vegetation and a terrace with umbrellas, tables and chairs. Pack 'n Play, high chair, beach towels, beach chairs and umbrella. We recently added a beach cart for guests to take their gear to the beach. ****STAY CONNECTED WITH FREE WiFi ****, board games, pillow top mattresses. Absolutely love the area and the condo, we would stay here again!!!! Comfortable, modern, great beach proximity! Everything in this condo is what you would expect for a great, relaxing beach vacation. The furnishings and kitchen are modern and comfortable. And it has carpet, which I loved! So many beach condos are all tile, but carpeting in the bedroom and living area gives an extra homey feel that is just missing in all tile condos. Agnes the owner was very responsive and helpful, and her on-site agent royal shell was very convenient and easy to work with. I would definitely stay here again! Our vacation was everything we expected. The condo at LoggerCay was wonderful. Everyone was very friendly. The beaches and weather were beautiful the entire time. It was a little disappointing that the fireworks show was cancelled but the parade was a nice touch to the day. We really enjoyed renting a surrey from Billy’s bike rentals. Very nice experience. Had dinner at the bubble room which was a pretty cool experience. Overall our vacation was a success. Worst thing about the entire trip was that the week went by way to fast. Great location, beautiful views, tons of activities, good food, stores a plenty, wildlife, friendly people, the ocean, everything we could possible want or need is right here. Meine Frau und ich haben im November 2017 achtzehn schöne Tage in dieser Wohnung verbracht. Die Wohnung hat einen guten Grundriss und ist sehr gut ausgestattet. Wir haben häufig gekocht und die Küche liess keine Wünsche offen. Die Bäder sind auch gut ausgestattet und eines der Bäder hat eine grosse verglaste Dusche. Die Betten sind bequem. Wir können diese Wohnung gerne weiterempfehlen. Biking (miles of dedicated bike paths), golf (two golf courses on Sanibel are within five minutes of Loggerhead Cay), two tennis courts on premises, shuffleboard on premises, kayaking and more. Plenty of shopping available on Sanibel, Captiva or nearby Ft Myers and Naples. For wildlife viewing, Ding Darling Wildlife Refuge is on Sanibel and Everglades National Park is only one hour away. Discount for rentals of 2 weeks or more. Rates include Booking and Linen fees. Security Deposit Waiver (Damage Insurance): add 2.5% to base rate.